from 1967 until 1977. At the time he was also running a busy tackle shop. 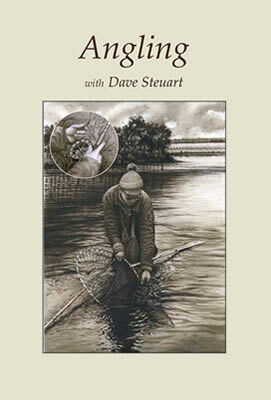 Dave wrote many articles on sea and game fishing at the time. used to tremendous success. Today’s anglers have much to thank him for. of well known anglers have been, at times, heckled (in print). to fight the angler’s case. Why put a series of articles that have already been published into book form? In my case there are a couple of reasons that justify the exercise, I believe. interesting and above all entertaining – where are those writers these days? ” With such a build up, how could I not try to get the articles re-published? permission; so if anyone does not like my writings, lynch Mr Bartlett, not me! beaten my PB’s – but I still loved her. Limited to 500 hardbacks and 50 leathers. The dustjacket has been designed by Mike Starkey using beautifully produced illustrations by well known and now sadly departed artist and illustrator John Searl. Hardbacks £30. Plus £5 P&P. Leathers will be £210 plus £10 P&P.